I’ve done my fair share of loving up the posters of Steven Soderbergh movies (see The Girlfriend Experience poster, The Informant! 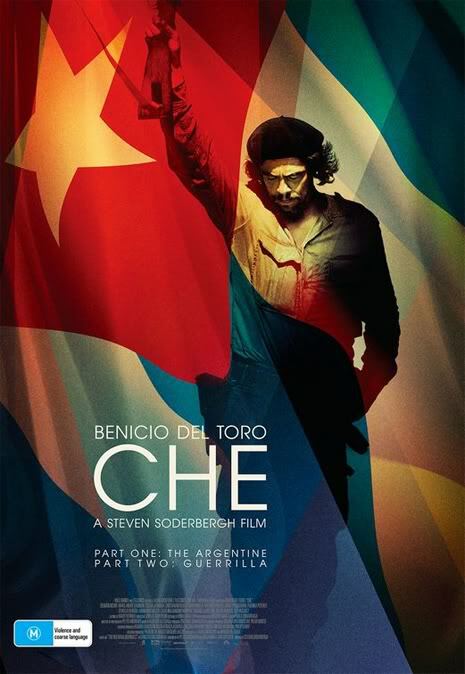 poster) but to be honest I was never really blown away by the posters for Che 1 and Che 2. Until now. What colours! What typeface! This makes me wish that Che had actually been good. Well it was alright. But not Soderbergh good. Thanks very much Australian distributors.